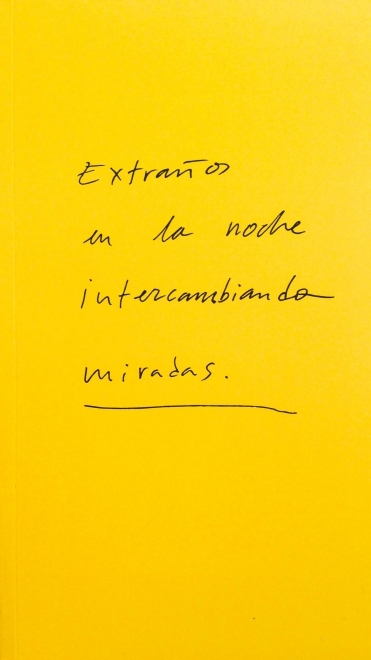 Cristina de Miguel: Extraños en la noche intercambiando miradas is a 60 page paperback exhibition catalogue featuring paintings from the gif Hat Dancer, 2014 and a forward by Nick Lawrence. Published by Arts + Leisure, 2014. Limited edition of 100.